You’re a busy, independent woman with a busy job and an equally busy life. You don’t have time to spend mulling over what to wear on a date. Even if that date is on Valentine’s Day. And even if love is in the air. But let’s be honest — it means something to your date that you’ve made the effort. So, here are five #OOTD ideas for different types of dates. You know, starched, white tablecloths, wait staff in jackets, a place for every type of cutlery, and $$$$ prices. It’s a nice restaurant so showing up in a sophisticated number isn’t too much to ask. Opt for something fun yet flirty — a bandeau top, a skater skirt and a blush-pink blazer. Then, make it quirky with a pair of mules with sculptural heels and an embroidered bag. A bodycon dress for cocktails at a trendy drinking spot? That’s too expected. Our recommendation: Wear an off-shoulder blouse (to show a hint of décolletage) and a pair of chino trousers (for boyish appeal). 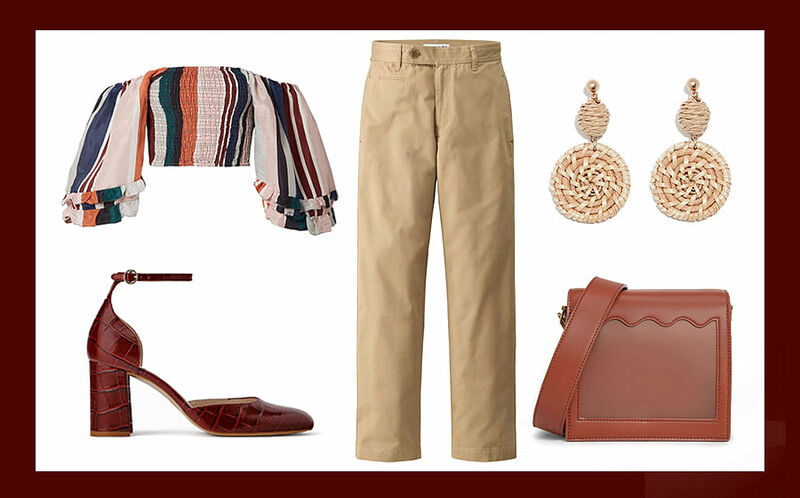 Style the ensemble with a pair of chunky leather heels (for maximum comfort) and statement accessories. If you and your date decide to round up the night with a spot of dancing (at said drinking spot or under the stars), you’ll still be perfectly dressed for it. Since the cinema will be cold, we suggest you keep yourself snug in a long-sleeved blouse and a tulle maxi skirt for that feminine appeal. 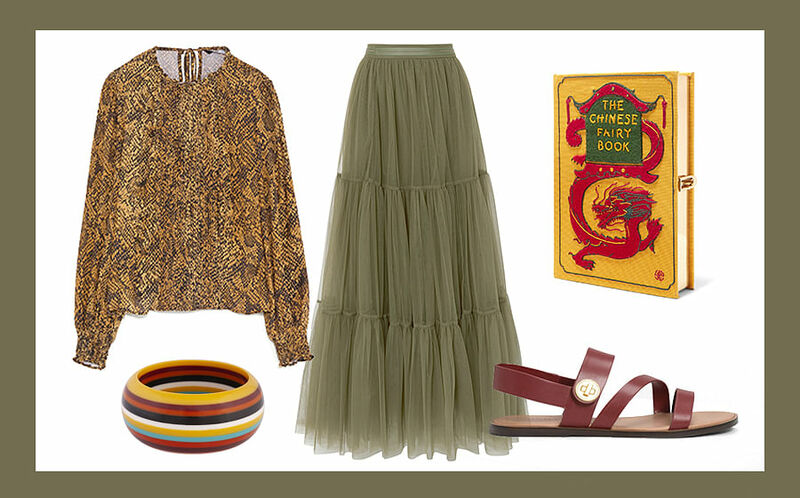 Accessorise with a pair of sandals, a multi-coloured bracelet and a book clutch for that touch of eclectic flair. If #fitspo is what you and your partner live for, a bowling date would be right up your alley (no pun intended). A cardigan and a pair of trousers will keep you warm in the cooler environment. 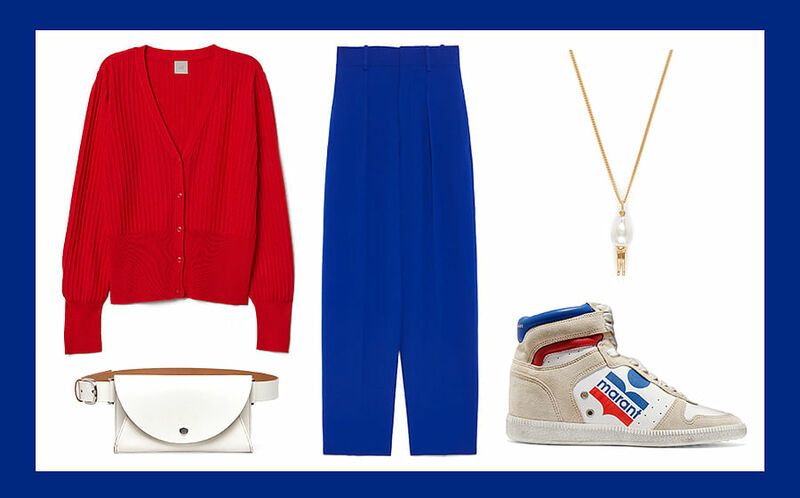 Slip on a pair of comfortable kicks and finish your look with a belt bag for that ’90s aesthetic. Since 2019 marks the Singapore Bicentennial, it’s a good time to check out the exhibitions and arts festivals commemorating Sir Stamford Raffles’ arrival in Singapore, such as the hotly anticipated light art installation iLight Singapore. Be prepared for a good amount of walking, so get into something easy and comfortable, like a billowy cotton dress and a pair of block heel sandals.